President Obama released a series of executive actions to reduce gun violence and called on Congress to pass laws restricting gun ownership rights. 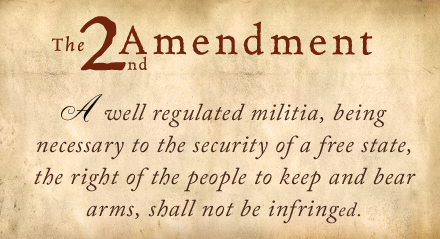 I am a staunch supporter of the Constitutional right to bear arms. I strongly disagree with the President’s call to restrict gun ownership rights. No one wants another tragedy like we saw in Newtown, but trampling on the Constitution isn’t the solution. I will oppose any Congressional action to infringe on our Second Amendment rights, and work to ensure that our Constitution isn’t bypassed by Executive Order. The President is trying to tell the American people that in order to prevent senseless tragedies, we must give up our freedoms. That’s untrue, and I will work to ensure that no one must choose between safety and liberty.